We are German vehicle specialists. We can provide a number of planned maintenance and repair services for a range of German vehicles such as Audi, Volkswagen and more. Servicing, MOT and repair services for all Audi models. Servicing, MOT and repair services for all VW models. Servicing, MOT and repair services for all Seat models. Servicing, MOT and repair services for all Skoda models. We can service and MOT almost any UK registered vehicle. What is the VW Audi Group? Volkswagen Audi Group vehicles encompass all Volkswagen, Audi, SEAT and Skoda models. Do Unit18 Use Genuine Parts? 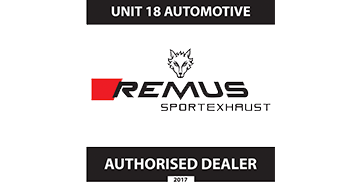 Unit18 use genuine Volkswagen and Audi Group parts if something needs to be replaced, whilst we also stamp service books and correctly re-set service indicator lights. If genuine parts are no longer available, we use only OEM-quality alternatives. Do Unit18 Offer Diagnostic Services? Unit18 Automotive has the latest diagnostic equipment – just like a Volkswagen, Audi, SEAT or Skoda main dealer – and is able to diagnose problems with any electrical system on a vehicle. We can also perform Diesel Particulate Filter (DPF) resets and forced regenerations (even when the soot level says over 100%). Along with diagnostic services, at the Unit18 garage, we can do any kind of ECU coding or re-mapping, carry out any ECU adaptations and also code remote key fobs. Do You Do VW Audi Upgrades? Anti-roll-bar fitment and set up to both front and rear.